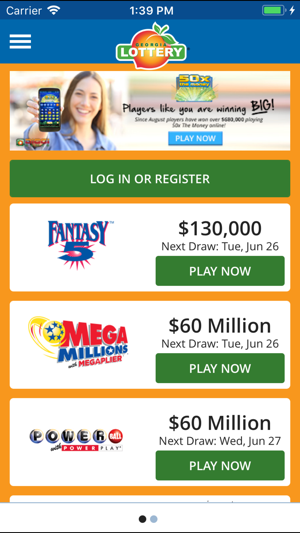 Today could be the day with the official Georgia Lottery mobile app! Scan your ticket to see if it’s a winner, check winning numbers, purchase select Georgia Lottery games, find a local Georgia Lottery retailer, and much more—all from your mobile phone or tablet. It’s only a game, so remember to Play Responsibly. Must be 18 or older and located within the state of Georgia to purchase. 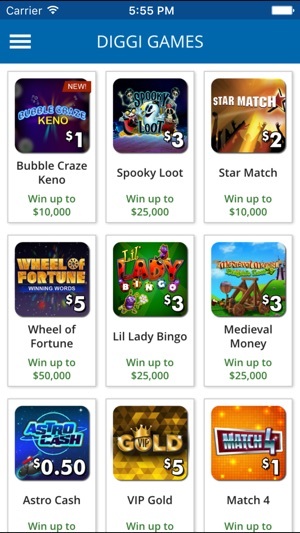 The Georgia Lottery encourages adults to establish appropriate parental controls on mobile devices accessed by children under 18 to limit their ability to download or use this app. 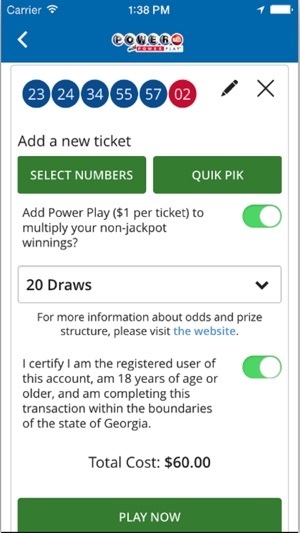 Updates to the ticket scanner exclusive to the Georgia Lottery Mobile app. 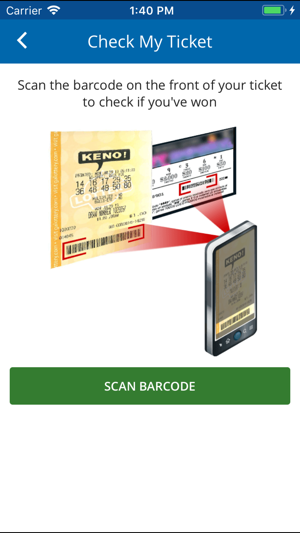 Improved scanner capabilities to read a ticket and player to determine if their ticket is a winner. New hours for the Keno! show allowing Georgia mobile app players extended play times. System enhancements for a better faster mobile app play experience. Tried app for first time to see if it would save me time/money but missing feature to make it as useable. I replay a set of numbers when I play so i reuse a playslip often. This app nor the website does not let you enter your favorite numbers and reuse them nor does it let you pick a previous set of numbers from your transaction history even though it keeps the data. If that ability was added I would play more often as it would save time (travel, etc.) and money. Also would like it to allow you to save favorite physical locations for lottery ticket purchase and allow you to give any the credit as seller if jackpot is won. Just to still support the local vendors and economy. I would have at least gave it 4 stars. But since the last update it's does not work properly. It's constantly freezes. It logs you out way to often. And since I work night shift that's usually when I play. But again since the last update I can't play between midnight and 3am. I don't understand why??? Sometimes I can. But more often I can't. When it will let you log on you go to purchase a diggi game and it gives you error messages that you can't purchase that game at the moment. But trust me it's all games. This is my first ever review on anything. I wished it could have been a good one instead of this. Please GA LOTTERY fix the app. Getting frustrated and will delete it soon if not fixed. 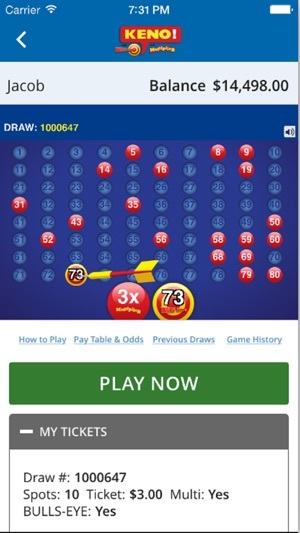 © Georgia Lottery Corp. or © IGT Corp.